Maybe you just don't have any interest in macho guys playing football, maybe you're absolutely crazy about cute critters, maybe you're a Cardinals fan still bitter about the Panthers ripping your team apart ... no matter what the reason, there actually are some people who just don't have any interest in the Super Bowl. For that small group of outsiders, here's what some channels not fortunate enough to be CBS have lined up for you. 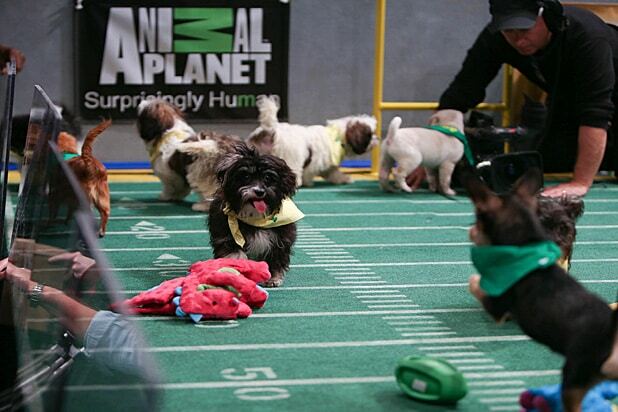 "Puppy Bowl XII"Animal Planet, 2:30 p.m. ETThe most famous of the annual Super Bowl counter-programming specials, the Puppy Bowl, is back with a rematch of last year's duel between Team Ruff and Team Fluff. As always, all the puppies that run around on the field are from rescue shelters and are up for adoption. 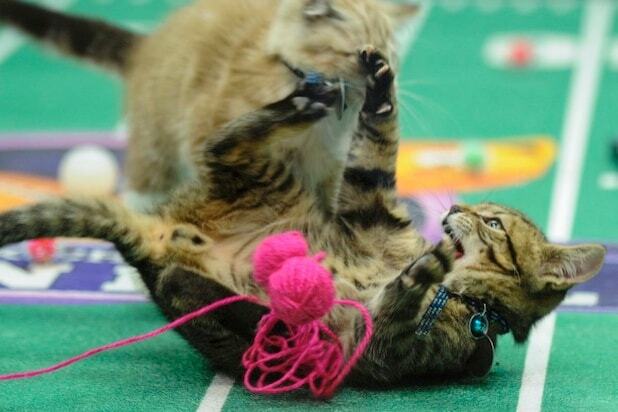 "Kitten Bowl III"Hallmark Channel, noon ETWhile kittens get relegated to halftime show duty at the Puppy Bowl, the Hallmark Channel is going to let them take the field. CBS football analyst Boomer Esiason will make a special appearance to introduce felines that have been given gloriously pun-derful names like John Hairball and Ben Roethlis-purrger. "Fish Bowl XXL"NatGeo Wild, 6 p.m. ETAnd here's where the animal parodies get really weird. NatGeo Wild is presenting its third year of aquatic gridiron action. This year, the show's star, Goldie the Goldfish, is getting dropped into a 50-gallon tank against the toughest competition known to marine biology ... and there's a shark in the water. "30 for 30"ESPN, 7 p.m. ETESPN needs something to air to kill time until everyone tunes in for the postgame show, so during the Super Bowl they will be showing two documentaries about major sports stories from across the Atlantic. First is "The 16th Man," which tells the story of the 1995 Rugby World Cup hosted and won by South Africa at the dawn of Nelson Mandela's presidency. Next is the much bleaker "Hillsborough," which recounts a 1989 FA Cup match between Liverpool and Nottingham Forest in which poor organization of the stadium's capacity led to a human crush that killed 96 people. "Pitch Perfect"NBC, 8:30 p.m. ETAfter another strong year of football coverage, NBC is turning to a newly-minted cult film to counter the big game. The Anna Kendrick-led a capella comedy was a sleeper hit in 2012 and spawned a sequel that became the highest-grossing musical comedy of all time. "The Walking Dead" MarathonAMC, All DayIf you've ever been intrigued in AMC's unkillable cash cow but never had the chance to binge watch it, Super Bowl Sunday is your chance. This "TWD" marathon will cover the series' first two seasons, giving longtime holdouts a chance to catch up from the beginning. "Downton Abbey"PBS, 9 p.m. ETLastly, there's the big one. 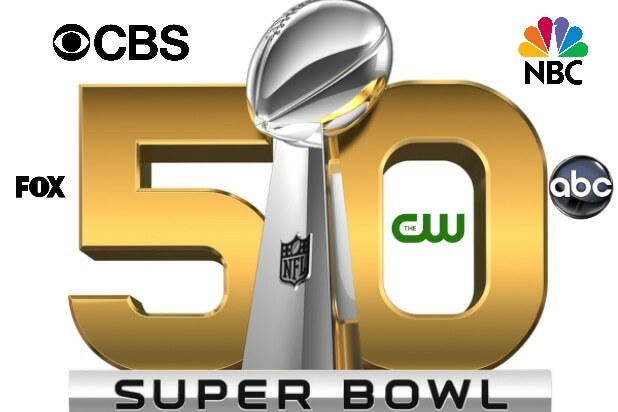 With the American premiere of the show's series finale just three weeks away, PBS isn't afraid to take on the Super Bowl with the biggest smash hit it has ever aired. They will air a new episode on the east coast around the same time the Panthers and Broncos will be heading into the fourth quarter. If the game is close, some viewers will have to make a choice: do you want to see the big finish, or do you want to see if the Dowager Countess is going to blow her lid?